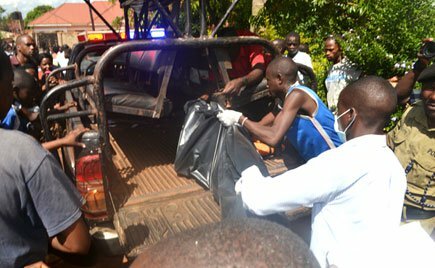 Police is investigating circumstances surrounding the possible murder of an unidentified woman in Entebbe. The deceased woman’s body was reportedly found dumped in a compound of a one Rose Namutebi in Busambaga village, Katabi Town Council in Wakiso District. According to eye witnesses, the deceased who looked to be in her early 20’s was found naked (left with only a blouse) with many bruises visible on her body. One of the residents told Daily Monitor that she had been spotted in one of the area bars on Sunday night before she was discovered dead don Monday morning. She is suspected to have been killed from somewhere and her body dumped at the place where it was discovered. “When you look at the scene, nothing shows that there was a fight which implies that she might have been killed from somewhere else and her body brought here. We even don’t know her,” one of the residents reportedly told Daily Monitor. The murders come barely a week after High Court acquitted Ivan Katongole, Hellen Nabagala, and Andrew Kizito, the three who were accused of masterminding women murders earlier in 2017. A total of 23 women were raped and killed in Entebbe and Nansana in 2017.